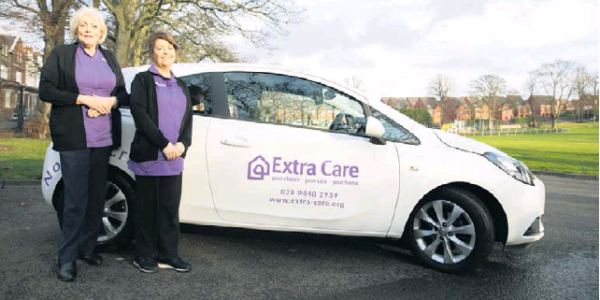 Northern Ireland Charity, Extra Care is recruiting for a number of roles for new employees to join its team. Established in 1935 to ensure people could live their lives in their own homes the home care services remain committed to a person-centred approach that promotes excellence. The skills and values of its 300 strong team of staff across Northern Ireland ensure it is able to provide service users with the support they want to maintain their home and live their life their way with the provision of high quality, cost effective, flexible care. While most service users are older people, Extra Care also supports dependent adults and younger people in their own homes. A spokesperson for the charity said: “As people’s needs change we believe support is at its most effective when delivered in their home where surroundings are familiar, and they are at their most content. We believe this is true no matter what your specific needs may be. “As well as Domiciliary Care we offer Family Carer Training, Assisted Peritoneal Dialysis, reablement, prevention services, end of life care and dementia care. For more information on Extra Care Jobs click here.